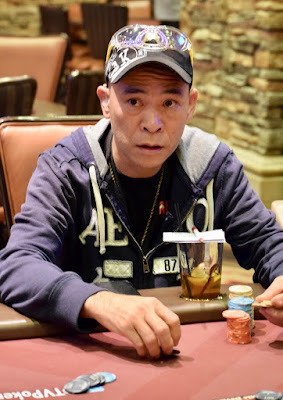 Lay Saelee (above) is the chipleader after two completed flights in the 5-starting-flight #TVWSOPCircuit Event 1 - a $365 buy-in with $300,000 Guaranteed. Here's all 41 players who so far have made it to play starting at 11am Sunday in Day 2 - playing down to a winner. THere's three flights still to add to the Day 2 field.